Indonesia, the world’s fourth most populous country, comprises over 17,000 islands, of which roughly 6,000 are inhabited. Providing broadband communications to such a highly dispersed population has long been a goal of the Indonesian government. To achieve this, Indonesia’s Ministry of Communication and Information Technology initiated a competitive procurement early in 2018 for a geostationary FSS solution using HTS technology. iForte’s proposal relied on Telstar 18 VANTAGE, a new Telesat satellite that recently entered commercial service. iForte, a longstanding Telesat customer, has been using C-band capacity on Telesat’s Telstar 18 to provide USO VSAT services in Indonesia for over 10 years. Once the Ministry began its procurement process, iForte worked with Telesat to make Telstar 18 VANTAGE a core component of its proposed solution for serving Indonesia’s broadband requirements. 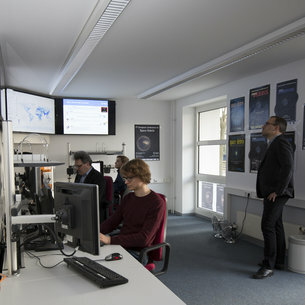 After iForte received notice of its selection under the Ministry’s procurement process, it contracted with Telesat for multiple C-band transponders on Telstar 18 VANTAGE for the life of the satellite and entered into a separate multi-year contract for all of Telesat’s HTS spot beams on the same satellite.